"Just Enough" has been continually updated and cared for by the same family since new. 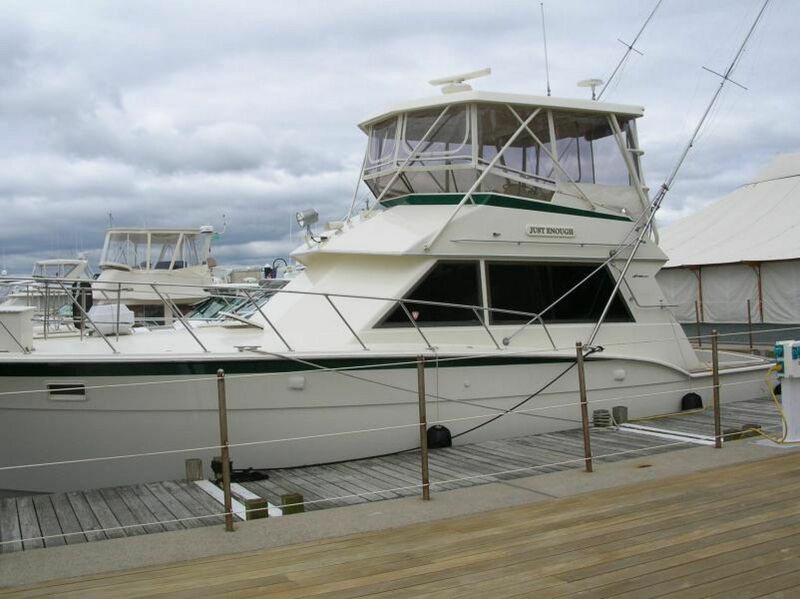 Used mainly as a bay cruiser, she is equipped for serious fishing and excels at both. Reliable Detroit 6V92 diesels, give her an easy cruise at 19 kts with a top end around 23kts. The 43 Hatteras convertible is comfortable in a chop and spacious down below. The hardtop and enclosure were recently replaced. 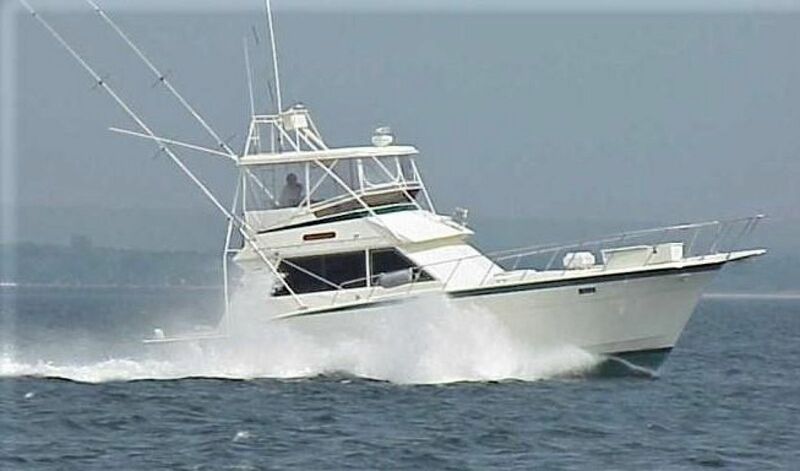 Equipment includes all the necessary navigation and safety gear for safe coastal cruising or fishing. Forward is the V-berth stateroom with stowage under bunks, hanging locker to port, wash basin starboard aft & centerline fore deck/escape hatch. Continuing aft to starboard is a separate dual access head with modular wash basin/vanity, Tecma head & separate shower stall. The master stateroom is starboard with twin berths. Ample stowage in the master includes cabinets overhead as well as drawer stowage under & on sides of the bed & a hanging locker. The galley is to port w/ full sized GE side by side refrigerator/freezer, (3) burner propane stove top w/ oven, SS sink & Panosonic microwave. Three steps up to the spacious salon with sofa to starboard, 2 captains chairs to port, 2 end tables and a high/low dining/cocktail table. The sliding door aft opens to the cockpit w/ teak table & 4 chairs. From the cockpit, the port side ladder takes you to the Barrett enclosed flybridge & helm w/ (2) navigator's seats as well as bench seating for guests.